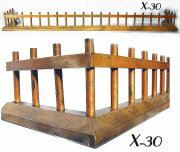 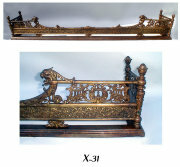 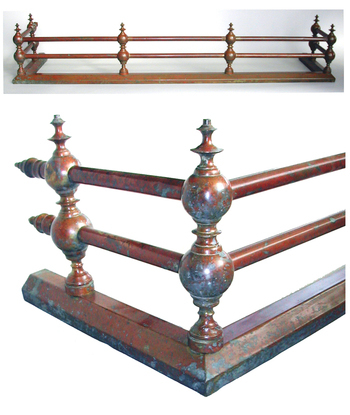 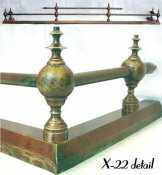 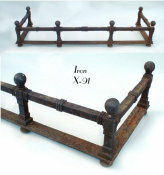 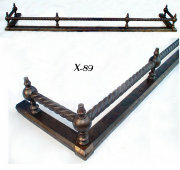 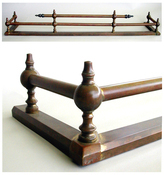 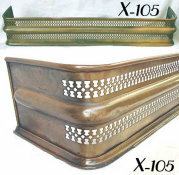 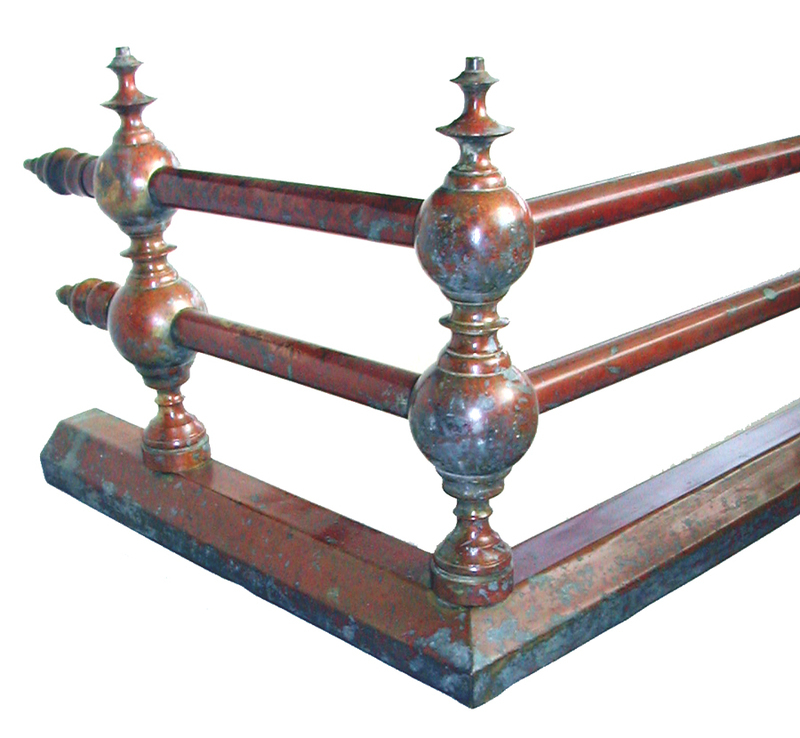 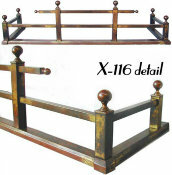 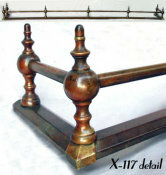 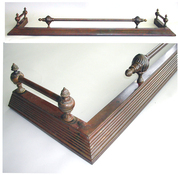 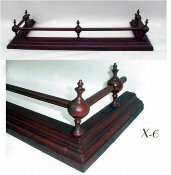 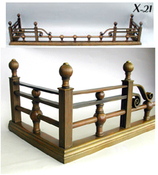 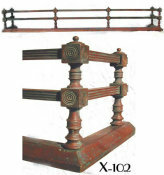 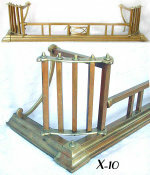 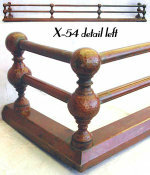 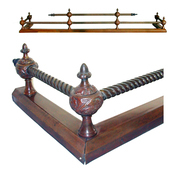 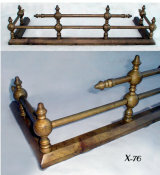 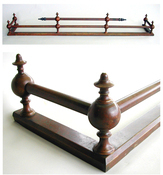 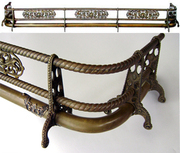 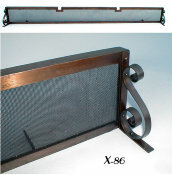 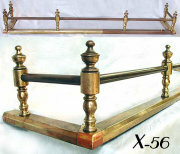 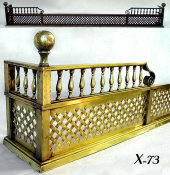 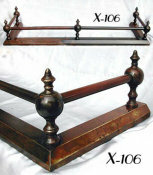 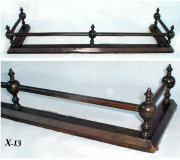 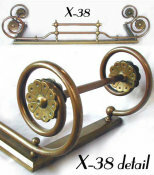 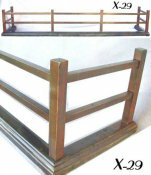 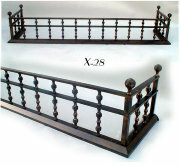 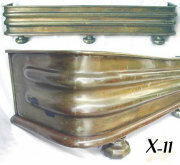 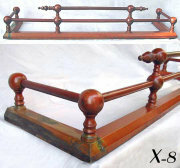 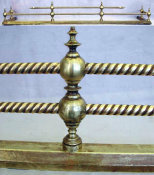 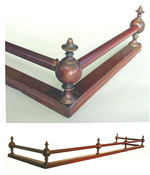 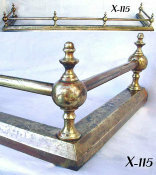 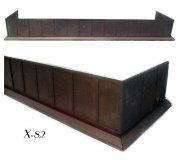 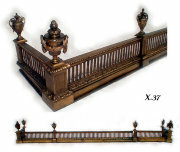 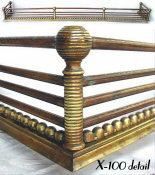 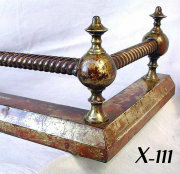 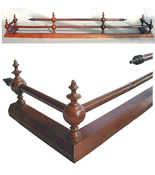 Antique fireplace fender with double bars, double ball uprights and flanged finials. 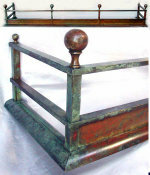 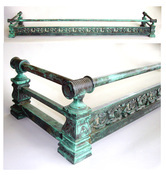 Beautiful dark caramel colored patina with splashes of verdigris as pictured. 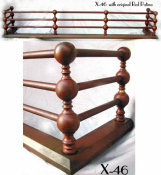 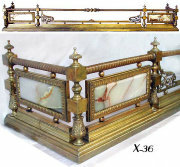 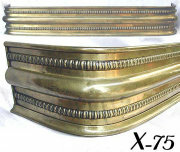 Dimensions: Width: 51.25", Depth: 13", Ht: 9 3/8"